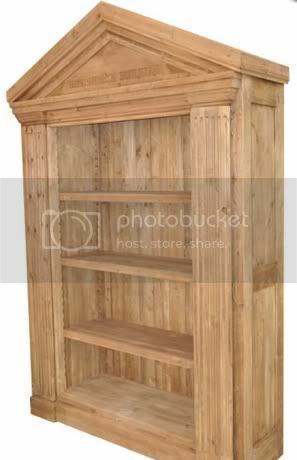 What's noteworthy about this bookcase isn't the bookcase itself — it's kind of a clunker — but the story behind it. This is the Bodleian bookcase, and it's part of the new Oxford University Collection, a line of home furnishings licensed under the prestigious institution's name and sold by a Hong Kong–based company. If you think this is a bizarre pairing, you're not alone—the university's dons are seriously ticked at what they view as the whoring out of their school's name. You can read more juicy details here and view the entire collection here.